LAKEWOOD, Colo. – Those interested in growing industrial hemp during Colorado’s 2014 season must register with the Colorado Department of Agriculture by May 1, 2014. “The rest of the country is watching how we work through this history-making season. It is vital that farmers register if they want to grow industrial hemp; therefore, if industrial hemp is grown without registering with the Colorado Department of Agriculture, law enforcement may be contacted, “ said Colorado Deputy Commissioner of Agriculture Ron Carleton. “Registration is one of the first steps to creating a successful, viable, legal product; it is instrumental that producers help us develop an industry to set the standard across the country,” continued Carleton. Potential registrants should be aware of uncertainties that still exist because of federal law. CDA’s regulatory role with industrial hemp is limited to registration of growers and inspection of crop. The State of Colorado has no jurisdiction over many other factors that producers are faced with. While Colorado legalized the production of hemp (Cannabis spp), growing it commercially is still considered illegal under federal law. The Department of Justice has issued guidelines that will, if followed, limit the likelihood of federal enforcement against commercial producers. Seed Procurement/Seed Quality--Seed that exists in Colorado may be variable and have unknown THC levels. Random sampling of hemp fields will be conducted. Plant samples testing at levels higher than 0.3 percent THC will be in violation of the Colorado Industrial Hemp Registration and Production Act. Importation of viable industrial hemp seed across State lines and Country boundaries is illegal under the Federal Controlled Substances Act, Pesticides--There are not any pesticides (herbicides, insecticides, fungicides, etc.) currently registered for use on Cannabis spp. 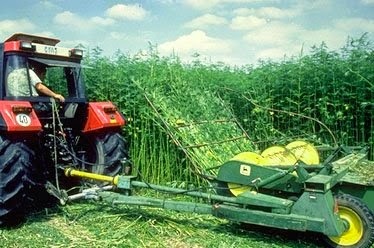 (Industrial Hemp and marijuana) due to the predominant federal nature of pesticide regulation. The CDA is developing rules to determine which pesticides could be used on Cannabis spp. and not constitute a violation of pesticide labeling or other federal and state pesticide laws and regulations. The list of allowable pesticides will be extremely limited. Federal farm programs--such as crop insurance, farm loans and conservation reserve may be jeopardized if industrial hemp is planted; these programs are managed by the US Department of Agriculture, a federal agency. Contact a lawyer for legal advice. Processing--Colorado’s industrial hemp rules state that industrial hemp producers must provide documentation of in state processing as part of registration. It is unknown at this time how many processing facilities will be available in Colorado at time of harvest. Late last year, the Colorado Department of Agriculture adopted the first industrial hemp rules in the state’s history. The rules were developed in response to the passing of Amendment 64 and legislation enacted by the Colorado General Assembly in 2013. SB13-241 delegates to the Department the responsibility for establishing a cultivation registration and inspection program.